Australian UFO investigator Bill Chalker discussed UFO cases in China, as well as his continued investigations into alien abductions in Australia. He's conducted extensive research into Chinese sightings, and made trips there in 2002, 2005, and 2006. The recent UFO sighting by Chinese scientists at the Purple Mountain Observatory that occurred during the solar eclipse in July has been somewhat of a "lost in translation" episode in terms of press coverage, he noted. The scientists witnessed an unexplained object in the corona of the eclipse-- it wasn't necessarily a craft, but probably more like an astronomical body, he explained. He spoke about several ET encounter cases in China. In one, a man (Cao Gong) was taken inside a UFO, and made to take part in a healing exercise for a young woman, which involved a solid beam of light. Interestingly, the woman was later tracked down and found to have unusual marks on her body, he reported. 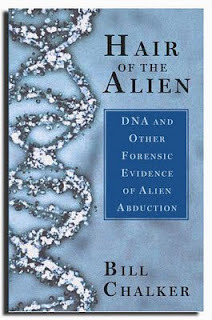 Chalker said he's particularly fascinated by cases such as this that involve "solid lights," beams of light that are sometimes used to transport or heal.He reviewed the 1992 Australian alien abduction case (featured in his book Hair of the Alien), in which a man named Peter Khoury received a strange visitation from two naked woman, and recovered a strand of blonde hair after the encounter. This hair underwent DNA analysis and was found to have unusual hybrid qualities-- the shaft was a rare Asian mongoloid sequence, while the root had a rare Gaelic profile, he detailed. Chalker outlined alien connections to various isolated cultures and tribes, which suggests to him that alien interactions have been going for a lot longer than is typically thought, and there may eventually be DNA evidence to demonstrate this. 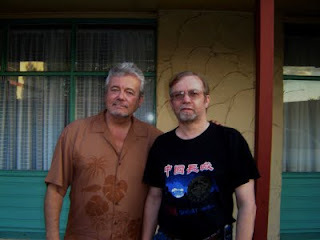 I'll be talking with George Knapp on Coast to Coast http://www.coasttocoastam.com/ on Sunday September 20 11 pm to 2 am (US Pacific Coast time) and Monday September 21 4pm to 7 pm Australian East coast time. We will be discussing among other things the Chinese UFO scene. 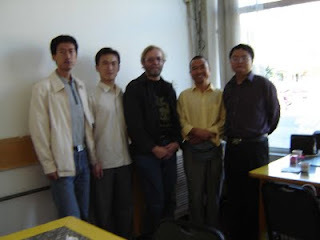 I have conducted extensive research into the Chinese UFO experience and visited China for that purpose in 2002, 2005 and 2006. We will also be discussing my extensive background in Australian UFO research, the progress of my DNA mediated UFO research, the breakthrough focus on an alien DNA paradigm, and the current state of ufology. 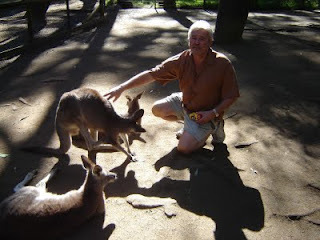 George was in Australia in June 2007 lecturing on the "Hunt for the Skinwalker" saga - the monitoring of UFO and other unexplained phenomena on a property in Utah. We had some time together taking in the local wildlife, beaches and pubs, and also managed to discuss UFOs. Because of my longtime interest in China, it history and its people, as well as its alluring mysteries, I've also been drawn to its literature, both classical and modern. The variety is as rich as all the manifestations of things Chinese. 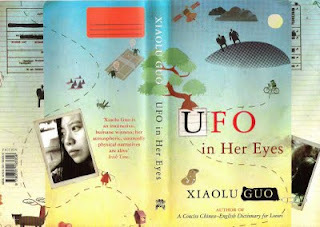 A new novel from Xiaolu Guo brings together the UFO and the potent force of change. The book is structually and stylistically engaging. It is deceptively simple in its telling but potent in its resonances with the realities of China. "Silver Hill Village, 2012. On the twentieth day of the seventh moon - the day after National Wiping Out Illiteracy Day - Kwok Yun is making her way across the rice fields on her Flying Pigeon bicycle. Her world is upturned when she sights a UFThing - a spinning plate in the sky - and helps a Westerner in distress whom she discovers in the shadow of the alien craft. "It's not long before the village is crawling with men from the National Security and Intelligence Agency armed with pointed questions. And when the Westerner that Kwok Yun saved repays her kindness with a large dollar cheque she becomes a local celebrity, albeit under constant surveillance." The agents' interrogation files provide the story's structure which reveals a "startling parable of change" that imagines "an uneasy future for rural China and its relations not only with Beijing but the wider world beyond. 'Have you heard of UFOs?' she asked. 'UFwhat? We had no idea what she was talking about.